Astronomers have found a really small galaxy, which has one weird trait. It spins a lot faster than it should. Pieter van Dokkum and his team think dark matter is the explanation. The galaxy measures around 60 000 light-years across, and is about 300 million light years away. It weighs almost the same as the Milky Way, but has nowhere near the amount of stars. Dragonfly 44 consist of about two billion stars, while our galaxy has over two-hundred billion stars. What is really strange is that the Milky Way and Dragonfly 44 appear to have roughly the same mass; both the Milky Way and Dragonfly weigh about as much as a trillion suns. This means 99 percent of the Dragonfly galaxy must consist of matter we can’t observe. A team of American and Canadian scientists think that a lot of dark matter is hiding in Dragonfly 44. 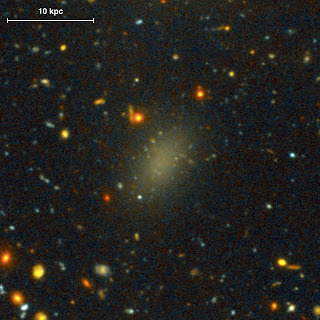 It was discovered last year in the Coma galaxy cluster along with other similar galaxies, which the team combined and named Ultra Diffuse Galaxies (UDGs). Dragonfly 44 is the largest out of all of them. What exactly is dark matter? Well, the truth is that we don’t really know. What we do know is that more than a quarter of the mass of the whole universe is dark matter. Overall, dark matter leaves scientists completely puzzled. 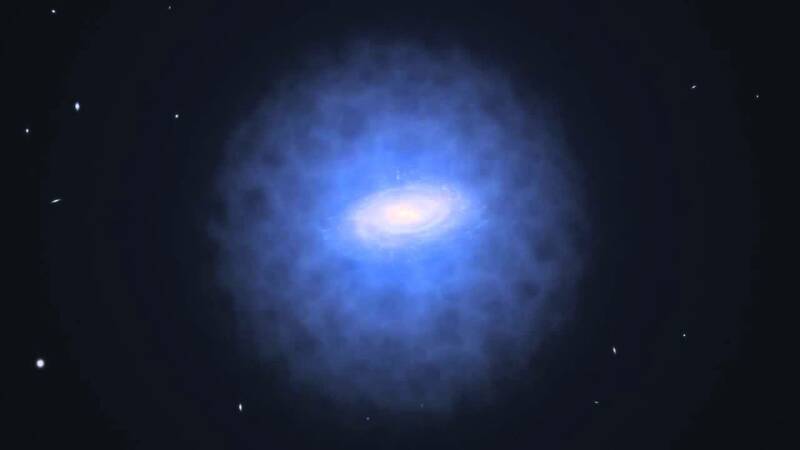 The reason that it’s such a mystery is that dark matter doesn’t interact with light. That’s why it’s called dark matter - we can’t see it. We can only say it exists at all through the effects it has on its surroundings. One way we notice dark matter is in galaxies that appear to have more mass than their amount of stars can explain. An extreme case is Dragonfly 44, but our own galaxy also has quite a big mass-star misalignment. Scientists think that around 90 percent of all the matter in our galaxy is dark matter. This also means that everything you can see, your house; your food; the sun; and everything else is just a tenth of all the matter in our galaxy. 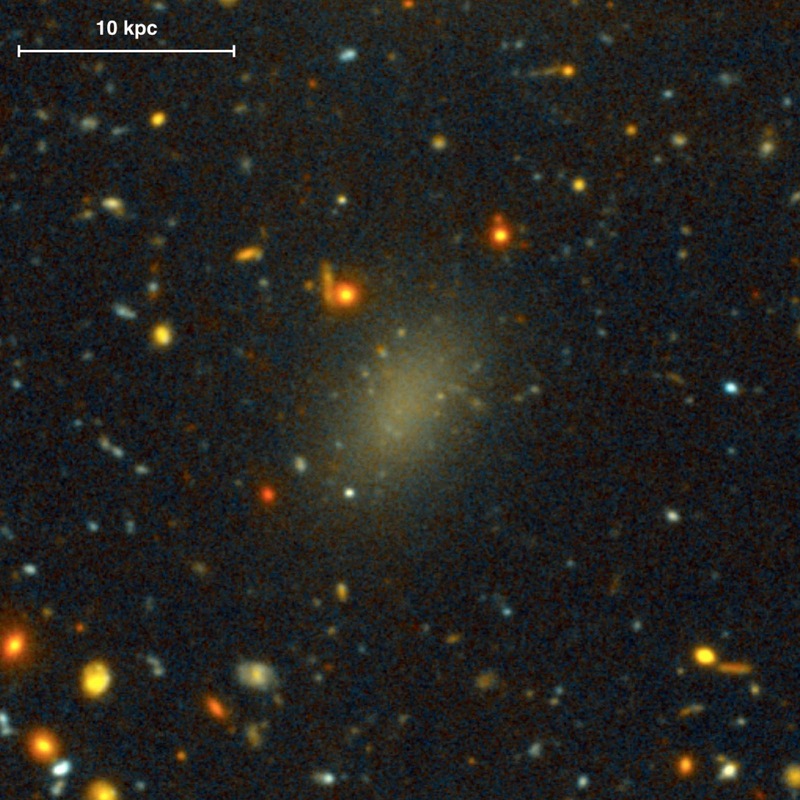 If the hypothesis that Dragonfly 44 is made almost completely out of dark matter, it would explain some mysterious things about the galaxy. First of all, it spins way faster than it should. The general rule is the bigger the mass, the faster a galaxy spins. This is because more mass creates more gravitational force, which speeds up the spinning of the galaxy. If all the mass of Dragonfly 44 consisted of normal matter, stars that we can actually see, the galaxy would never reach such a fast spin. On top of that, even if it would, the galaxy would most likely tear itself apart. If the mass is low, the gravitational forces would be too weak to keep such a fast spinning galaxy together if there weren’t any dark matter around. Scientists also consider this discovery to be particularly interesting since galaxies that are almost completely made of dark matter have already been predicted by some theories, and this new discovery only helps those theories to become even more likely.